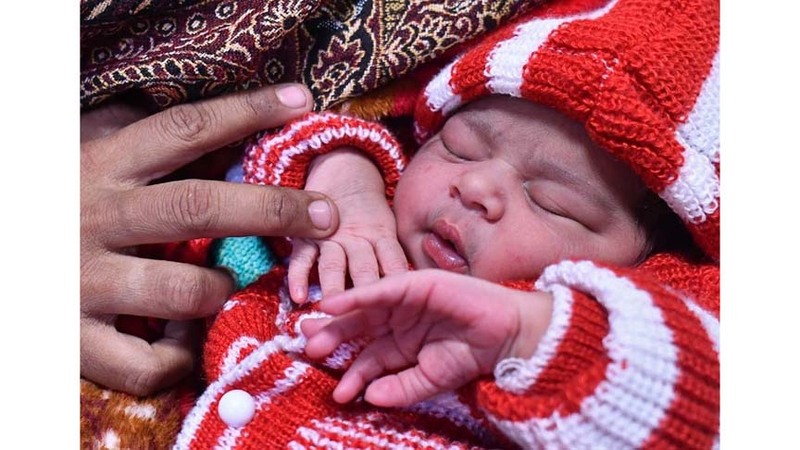 On the New Year’s Day, India has added 69,944 newborns to the world population, which is the highest number of babies born on the first day of 2019 in the world, said UNICEF. A report published on Wednesday by TOI stated India was followed by China which has welcomed 44,940 babies, Nigeria – 25,685 babies, Pakistan – 15,112 babies and Indonesia – 13,256 babies as per data computed from the total number of babies born on the New Year’s Day in various countries worldwide each day. The report quoting UNICEF said India accounts for 18 per cent of the estimated 3,95,072 babies born globally each day. The report quoted Dr Yasmin Ali Haque, UNICEF representative in India as saying, many of the newborns do not survive a year or even a day due to health complications. According to the UNICEF representative in India, in 2017, about 1 million babies died the day they were born, and 2.5 million in the first month of their birth. It may be mentioned that during a press conference in Guwahati held in February last year, Union Minister of State for Health and Family Welfare Ashwini Kumar Choubey said the infant mortality rate (IMR), which is the number of deaths per 1,000 live births of children under one year of age, was on higher side at 44 pc against the national figure of 37 pc in the northeastern State of Assam. He also said the Centre had allocated Rs 1,056.25 crore for Assam under National Health Mission (NHM) for 2017-18. While India has improved its infant mortality rate significantly over the last few years, Dr Haque said reducing the rate of neonatal mortality still remains a challenge, the report further stated. According to experts, the mortal rate of newborn can be reduced with simple fixes such as exclusive breastfeeding; skin-to-skin contact between the mother or father and the baby; medicines and essential equipment; and access to clean, well-equipped health facilities staffed by skilled health workers.